I made a commitment to plant everything from seed this growing season. Aside from producing a garden full of delicious fruits and vegetables, growing from seed, heirloom and organic, feels like an act of defiance, a way to give the finger, so to speak, to companies such as Monsanto and all the legislation and regulation that support their practices. In years past, as I perused my local nursery for starts, a voice in my head would whisper, “You really have no idea where these come from.” Up until a few years ago it was very difficult to find organic starts. Recently, a link to this blog post, alerting backyard gardeners of Monsanto owned starts sold at many nurseries, has landed in my inbox, Facebook feed, and various other places. Just before sitting down to write this post, a link to this article in my Facebook feed gave me one more reason to be vigilant about what the Monsantos of the world are doing to our food system. I could step onto my soapbox at this point, but won’t because the issue has been covered at length on various blogs, in documentaries, and countless news articles. If this is a new topic to you, the documentary, Food, Inc., is a good place to start. In my ire against Monsanto, I am driven to trudge on. Maybe, I just won’t have peppers (or too many of them) in my garden this year. And, that is okay. 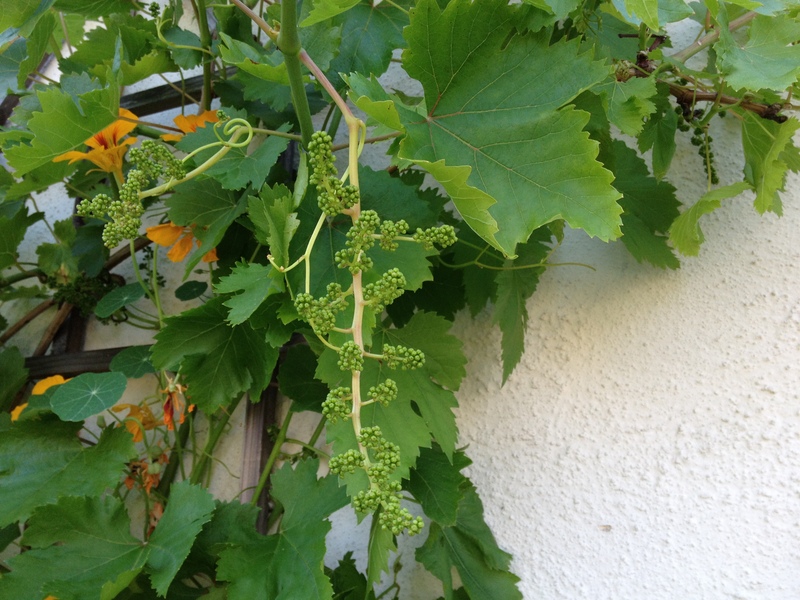 I am hopeful from many bunches of grapes this year. Last year the vine got sick and produced nothing. 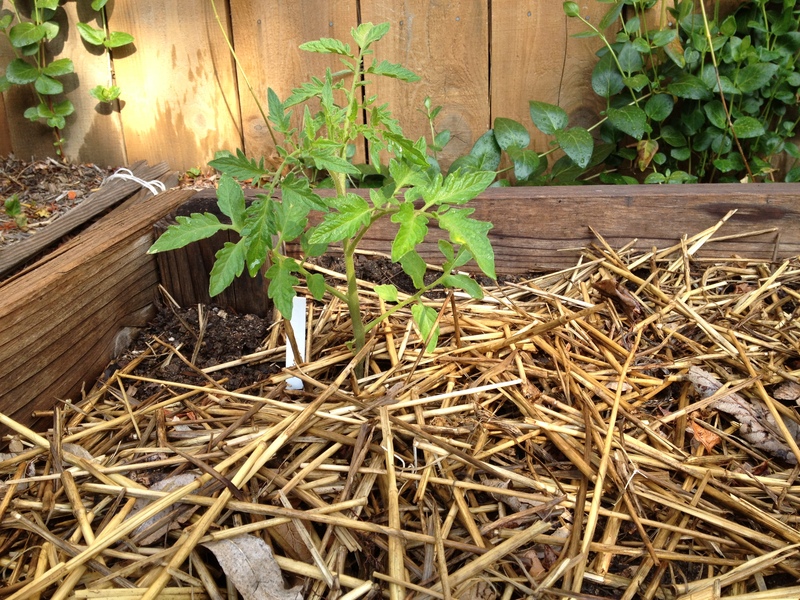 One of six tomato plants that have made it into the ground so far. Three more varieties on the way! 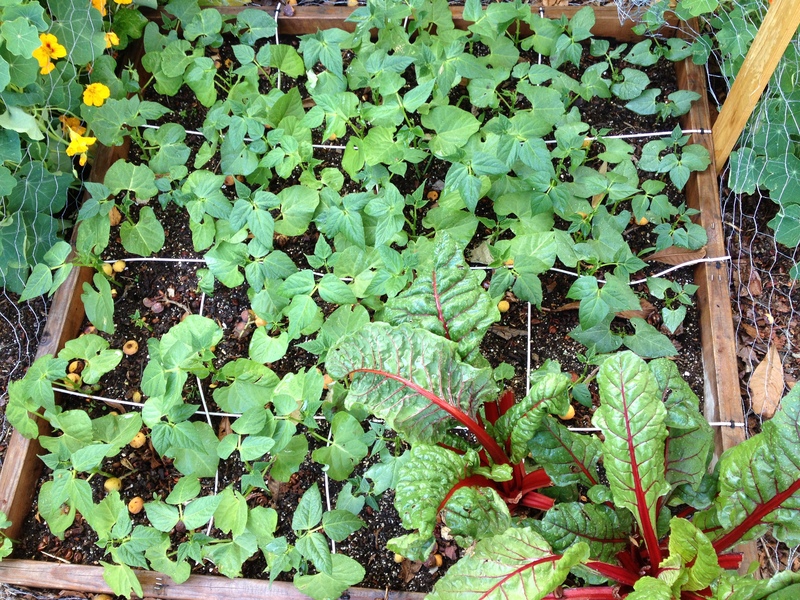 The Calypso beans with one corner of Swiss chard. Yes, indeed! Thanks for visiting. 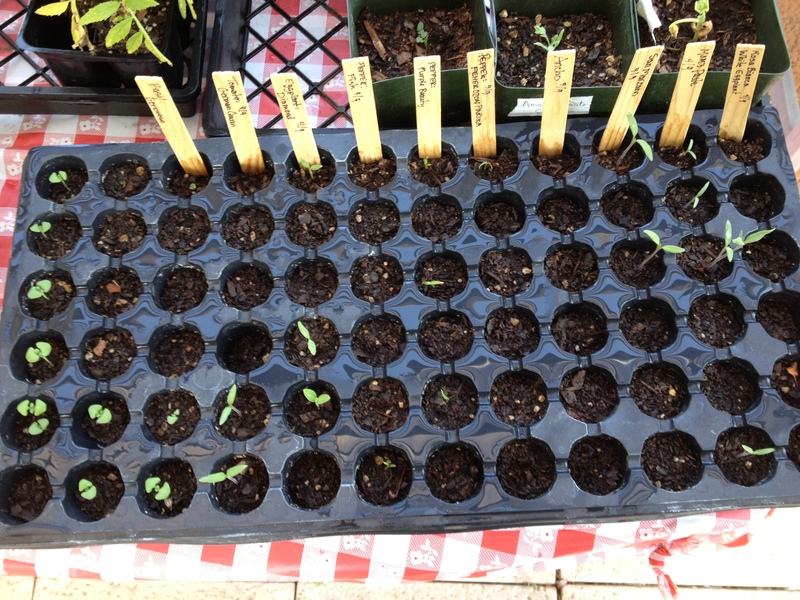 I am growing my vegetables from organic seed. I also have an apple orchard and do not use anything, sprays or fertilizers, on my apples. Oh, I wish I was in a good area for apples sometimes. I love apples and will only buy organic ones. I can’t complain too much though because in Southern California I can garden all year long! What kind of apples do you grow? I have a 100 different varieties of apples, most being heirloom. 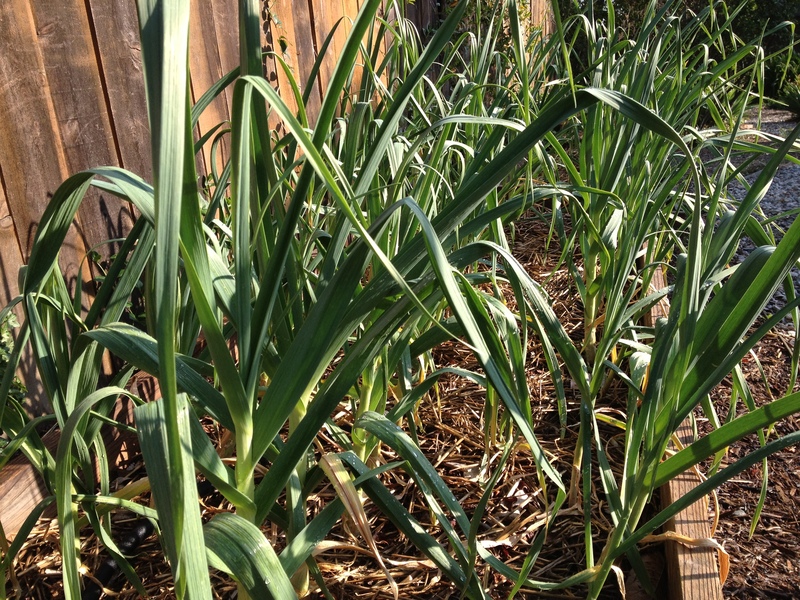 You are lucky that you have such a wonderful growing season. My tomatoes are living in my potting shed until the end of May when they can go into our garden at our summer cottage in Maine. We have a very short season.